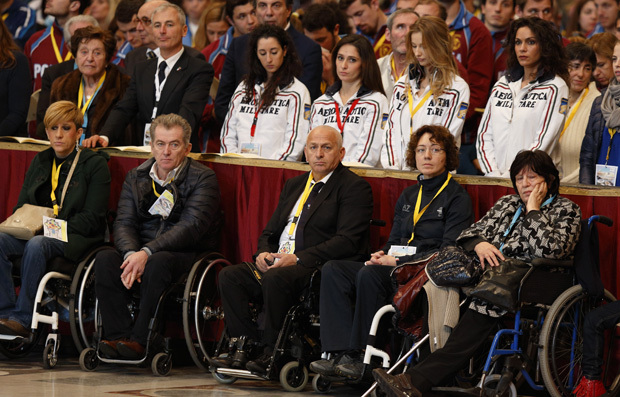 The 78-year-old Pope Francis made the comments Dec. 19 during an audience with members of the Italian Olympic Committee and Italian Olympians and Paralympians celebrating the 100th anniversary of the committee. 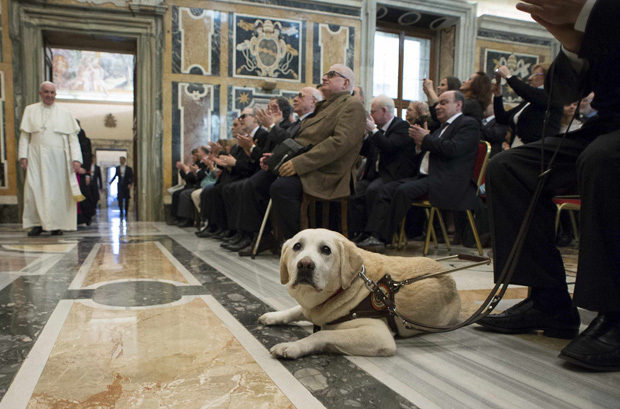 Joining the sports enthusiasts in St. Peter’s Basilica after a Mass celebrated by Cardinal Gianfranco Ravasi, president of the Pontifical Council for Culture, Pope Francis encouraged the athletes and the Olympic committee to ensure access to sports for all people, including immigrants and the poor who live on the outskirts of Rome and other big cities. Just like Olympic-class athletes, people with different abilities and from different backgrounds “need spaces to meet, socialize, share and play,” he said. Many saints, he said, have used language more often used by athletes, terms like “passion, enthusiasm, constancy, determination, struggle and limits,” to describe the qualities needed to reach the ultimate finish line, heaven.